When in Paris, eat ALL the pastries. Dietary: Vegetarian and gluten-free options available. Vegan, halal, and kosher options not available. What To Wear: Smart-casual. Give it your best French chic look. 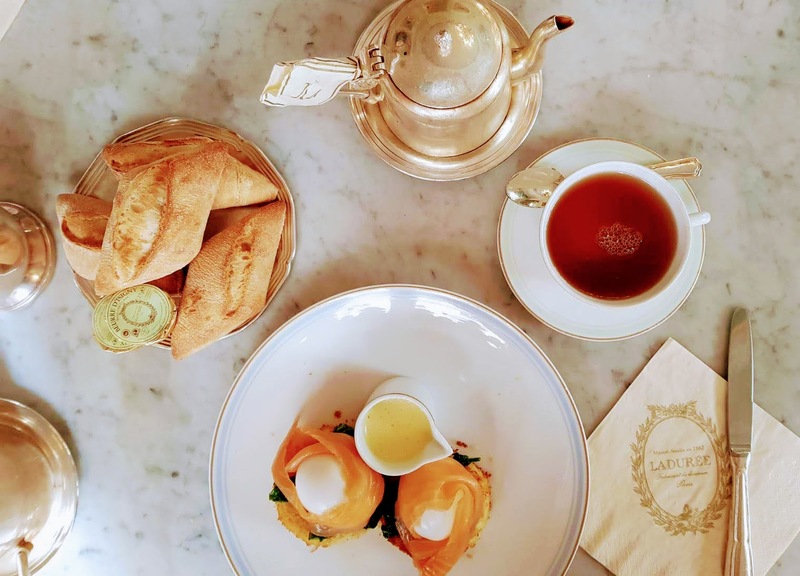 Best Time to Visit: Mid-day brunch. Perfect For: Ladies who Brunch! Why Visit: For the fantastic decor and perfect pastries. Key Tips: Ask for a table upstairs for the great decor and quiet atmosphere. Anyone who has been on holiday with me knows what a breakfast/brunch fanatic I am. There is nothing I love more than a buffet breakfast. I will literally wake you up and harass you out of the hotel if I think I'm going to miss out on my brekkie. 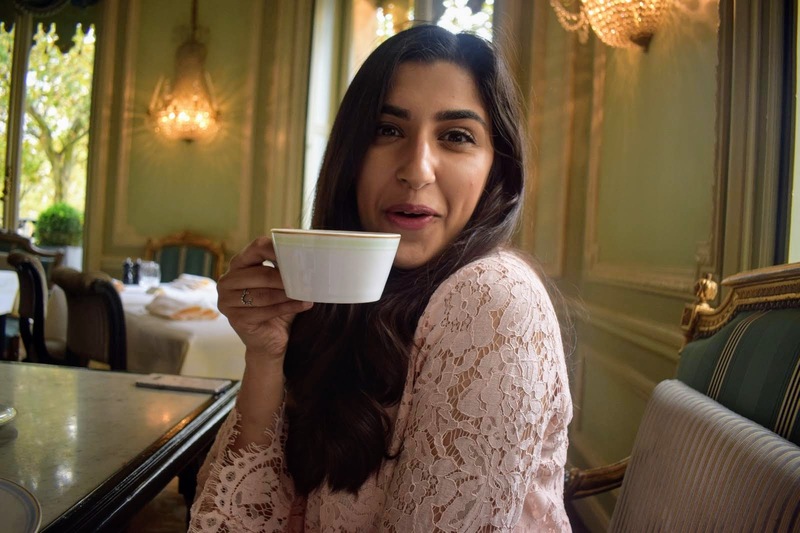 While I was in Paris, I decided to try the famous Ladurée for a ladies brunch and it turned out to be the highlight of my trip. Luckily no harassing was necessary. Everyone was on board! Hazzah! Ladurée on Champs Élysées is beautiful from the inside out. It's like walking into Willy Wonka's Chocolate Factory - but French, so everything is prettier and also that bit more sophisticated. 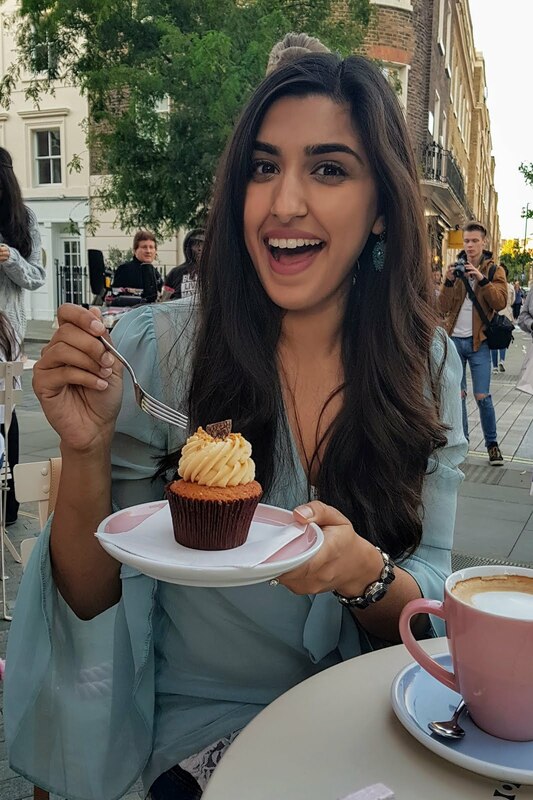 It's packed with gorgeous cakes, pastries, and chocolates and is the perfect spot to pick up gifts for family and friends. They have tonnes of beautifully decorated boxes of chocolates with a great selection of flavours. 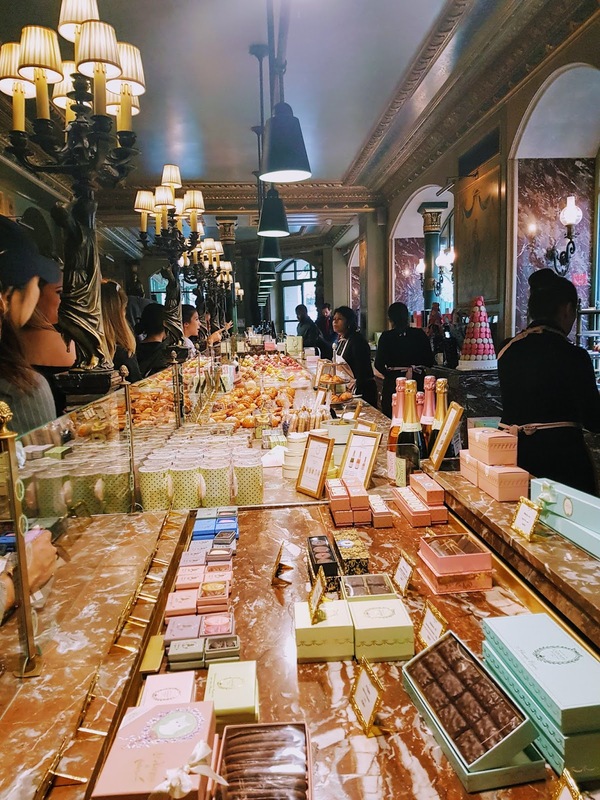 Ladurée has two floors. While you think it might feel like a busy French café buzzing with chatter, it was actually notably quiet when I visited. 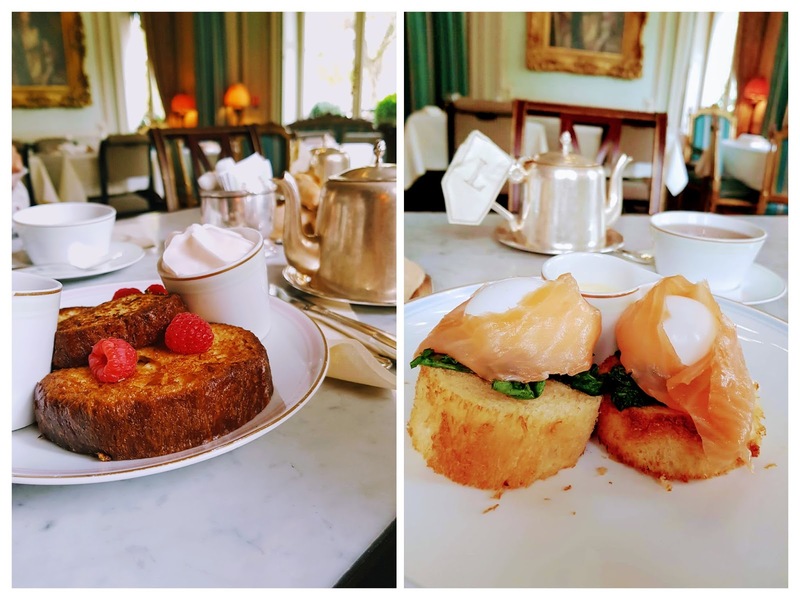 It had a lovely calming atmosphere which made it an incredibly relaxing brunch. 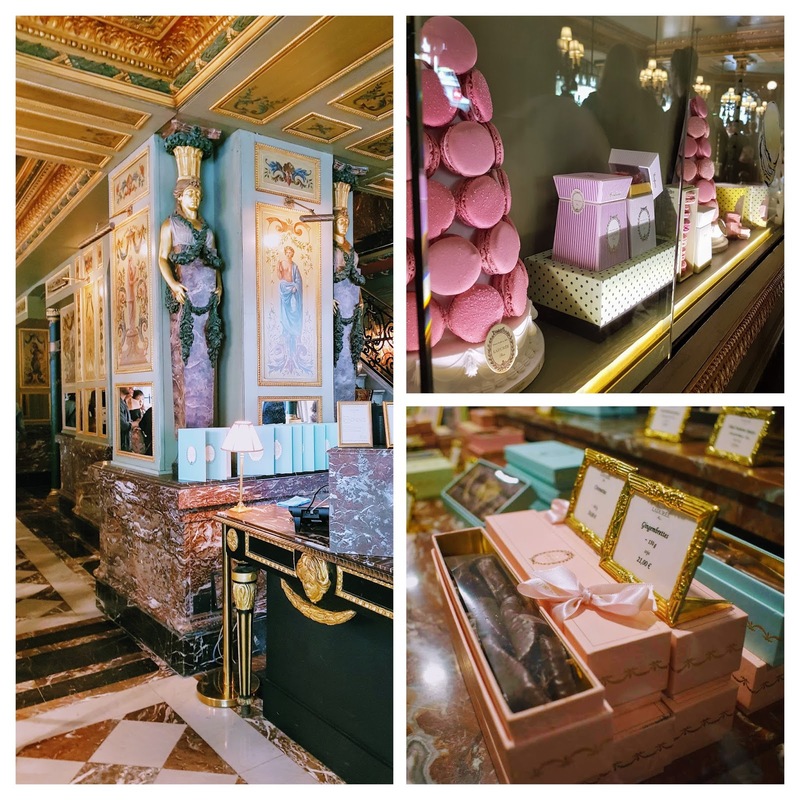 Ladurée is decorated with all the chic opulence of an old French palace. The decor is beautiful and makes it a spot worth visiting. 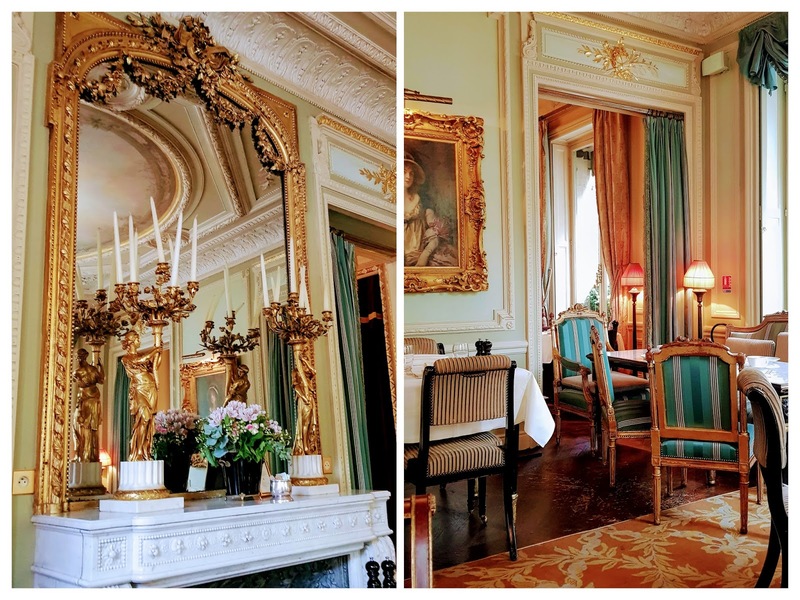 Of the two floors, I would say you can appreciate the decor a lot more on the first floor, so if you can, try and get a seat upstairs away from the crowds of people coming in to grab pastries and to take pictures. Speaking of opulence....gold teapots.... 100% fabulous. 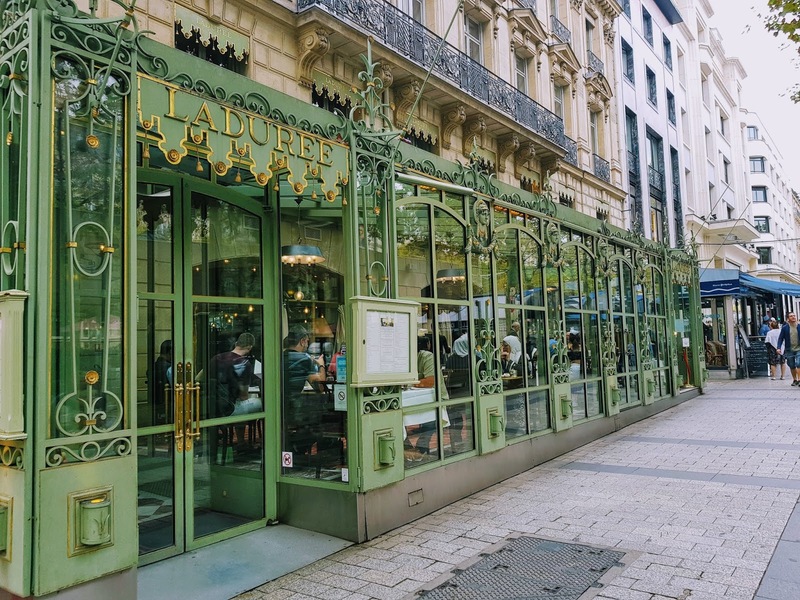 Laduée has an extensive selection of herbal teas as well as a wide selection of coffees. While there I tried the Jardin Bleu Royal and the Fleur d'Orange. The Fleur d'Orange had a lovely sweet floral and orange smell and was mild in taste. The Jardin Bleu Royal had more tang from the rhubarb it's made with and had a distinctive spicy aroma. The eggs royal was perfect. The eggs were perfectly poached and had gooey yolks but there wasn't a spec of uncooked whites! 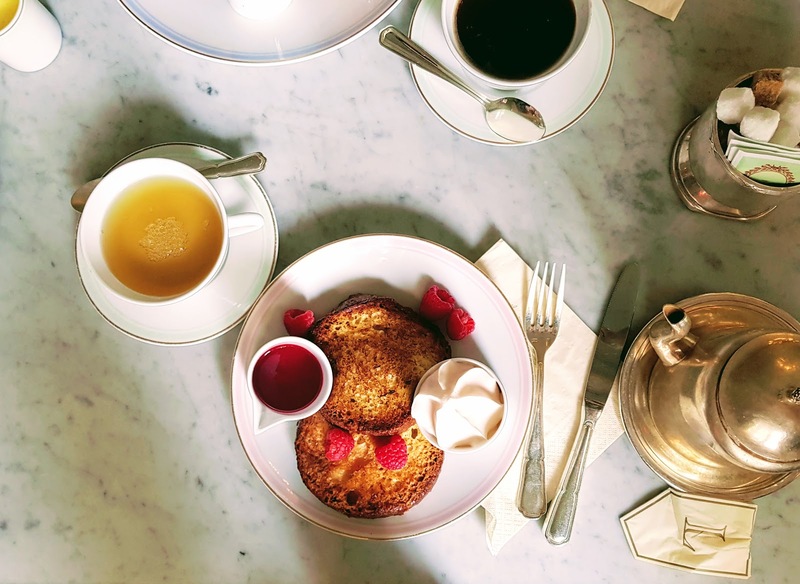 The french toast was really special, made with buttery brioche with a sweet crispy outer layer. The tangy raspberries were perfect with it. 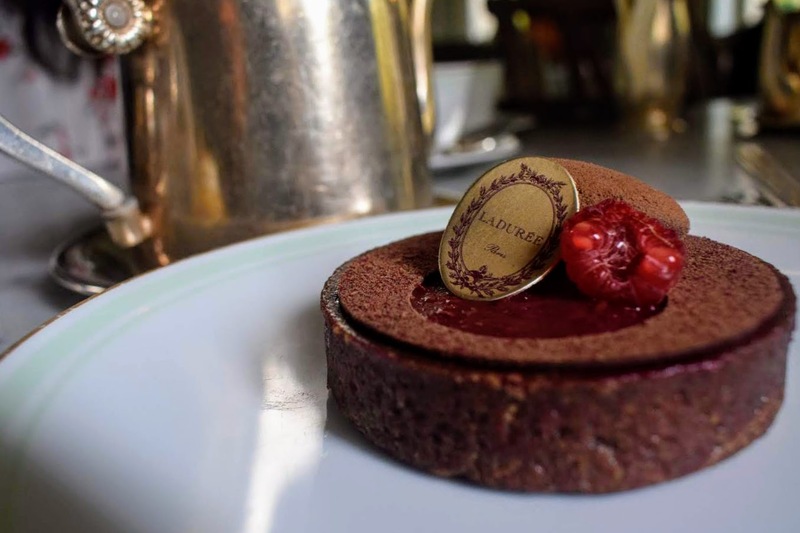 To top it off, I decided to try something chocolaty (of course) and opted for a chocolate tart. It was made with dark chocolate and wasn't too sweet. The pastry was crunchy but it wasn't difficult to slice like many tarts often are! By the way, don't try and eat the Ladurée sign on the cake, I got sucked into the fancy and I thought it was written on edible paper. It's just written on cardboard. 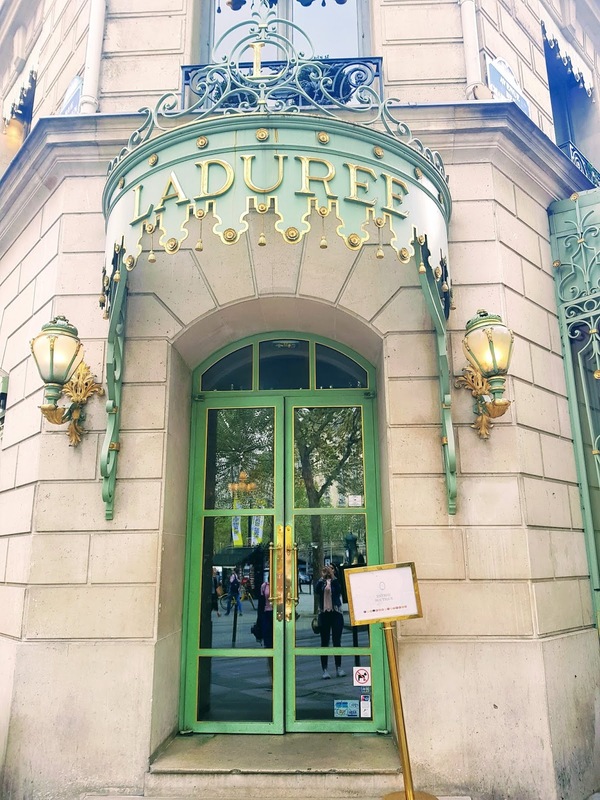 All in all, make sure you schedule a visit to Ladurée when you visit. The atmosphere is calming, the decor is beautiful and the food is great.